On Sept. 26, deep inside Taliban-controlled territory in Afghanistan’s Helmand province, Afghan counternarcotics agents backed by their Australian counterparts seized and destroyed $350 million worth of illegal narcotics. 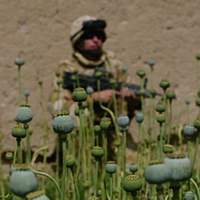 The operation set a record for drug seizures in Afghanistan, according to the U.S. Drug Enforcement Administration. Two weeks earlier, the same authorities busted the largest heroin-producing facility found in Afghanistan since 2006, capturing drugs worth $150 million if sold in the U.S. Both operations took millions of dollars from the pockets of insurgents who might otherwise use the money to buy weapons and ultimately mount narco-terrorist attacks inside Afghanistan.